Few approaches to John Coltrane's totemic (and now 50-year-old) album, 'A Love Supreme', have been as natural as that by The Campbell Brothers, commissioned by New York's Lincoln Center. The brothers are from a family raised in the tradition ofAfrican American churches that represent sacred steel gospel like no one else. 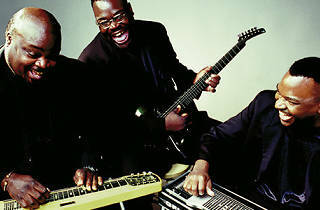 Led by Chuck Campbell, a great musician who has often been called the Jimi Hendrix or Django Reinhardt of the steel guitar, The Campbell Brothers link effortlessly with the significance of that 'spiritual statement' defined by Coltrane and recognised as one of the historical indications of jazz. 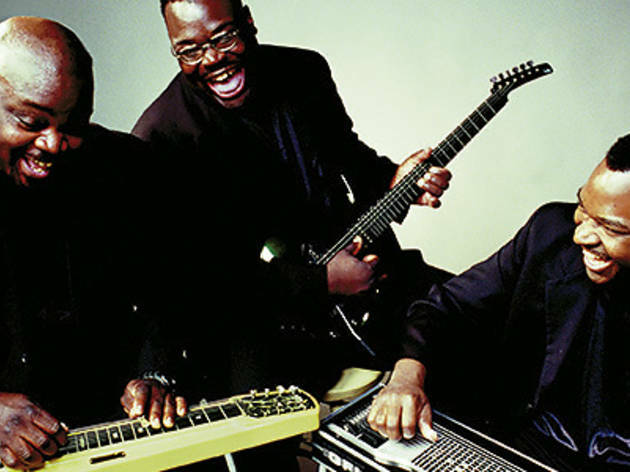 The Campbell Brothers, experts in the richness of traditional music of the United States, impress audiences with their sublime voices and incredible steel guitars, but also with their earthly magic and timelessness.